I have a fender bender on my record from about 4 years ago, will that have an effect on me getting a CDL? 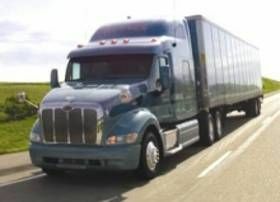 Getting ready to start CDL School and want some advice? I'm 38 year's old, single and no kids. I just got out of the military and I am using my GI Bill to go to CDL school. I know virtually nothing about trucking. I am willing to stay away from my home for long periods. I am even willing to relocate altogether if it is beneficial. I have really no ties to anything or anyone. I would just like to get some general advice from some veteran truck drivers on what they would do if they were in my position. Are there certain companies I should try to get on with or avoid? Should I start out with OTR? Any advice about anything would really be helpful. Thanks.